On March 21, forensics students from Thurston Middle School created a simulated mock crime scene using criminal investigation methods and techniques in order to solve the mystery of four unidentified bodies found on Gallows Hill in Salem in 1692. 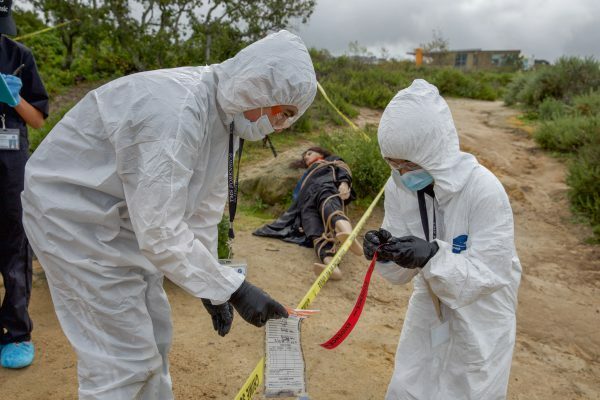 The reenactment of the crime scene at Alta Laguna Park provided students with the opportunity to participate in activities pertaining to science and law in order to help students prepare for a career in forensic science. The crime scene was filmed, written, and performed by the students. Noelle Martinez, coordinator of Thurston Forensics, and School Resource Officer Cpl. 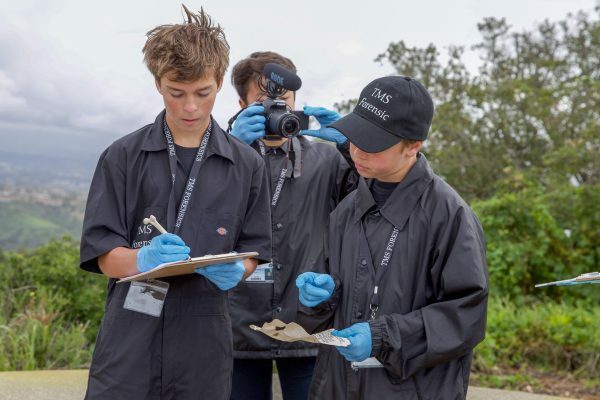 Cornelius Ashton, of the Laguna Beach Police Department, were on scene to help evaluate the students based on the proper method of criminal investigation. Ashton and Martinez also assisted with processing and analyzing the evidence at the Thurston Crime Lab to help identify the victims. El Morro Elementary School held its annual fundraiser “Jog-A-Thon” benefitting the El Morro PTA on Friday, March 22. Community members, parents, teachers, and local businesses joined in the fun by cheering on students and offering prizes for all students after the event. Laguna Beach Police officers and lifeguards from Crystal Cove State Park awarded each student with a medal after running. Students proudly told the officers and lifeguards how many laps they ran and shared stories about their experience. 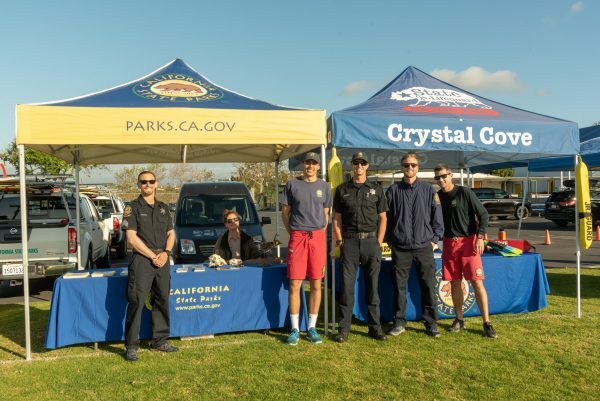 Staff from California State Parks and Crystal Cove lifeguards were just some of the participants that supported El Morro Elementary’s Jog-A-Thon fundraiser on March 22. Photo courtesy of Stan Sholik Photography. Funds raised from this year’s Jog-A-Thon will fund PTA programs at El Morro Elementary School such as Art Masters, Colonial Days, Character Counts, Science on the Go, Reading Counts, teacher and classroom grants, field trips, the El Morro Gardening Program, After School Clubs, Science Lab, technology in the classroom, and more. 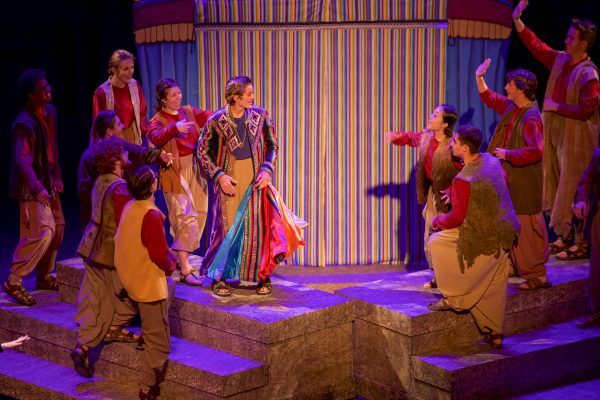 The Laguna Beach High School art, drama, and ceramics programs each received $5,000. At Thurston Middle School, the drama program received $2,000, and the multimedia program received $1,000. The Laguna Beach FOA Foundation was incorporated in 1989 to preserve and promote the fine arts and other artistic endeavors in Laguna Beach. The foundation operates independently from the Festival of Arts. To date, the Festival of Arts, along with the Foundation, has cumulatively awarded nearly $2.6 million in grants to the art community in Laguna Beach.